Can You Get Away With Social Smoking? Have You Bought Into These Myths? You know smoking is bad for you. That’s been well-known for decades. But you might still be surprised at just what it does, and that these common myths aren’t true. Occasional smoking won’t hurt me. MYTH. People who smoke just a few days a week or just at some social gatherings sometimes think they’ll escape the risks. Don’t buy it. Even relatively small amounts damage your blood vessels and make your blood more likely to clot. That damage causes heart attacks, strokes, and even sudden death, King says. MYTH. Cigarettes made with different filters, paper, or blends of tobacco used to be labeled as light, ultralight, or mild. So some people bought them thinking they were better for you. But that’s not the case. You can get just as much tar smoking a light cigarette as a regular one. Research shows that “light cigarettes are not healthier and that in many ways the products were manufactured and marketed in a way that was misleading,” King says. By law, tobacco companies aren’t allowed to call cigarettes “light” anymore, but the same products are still on shelves in packaging you might recognize. It’s too late for me to quit. MYTH. Even if you’ve smoked your whole life, it’s worth it to stop. “If you quit at any age, you will improve your health and quality of life,” says Dorothy Hatsukami, PhD, director of tobacco research programs at the University of Minnesota. Right away, your heart rate and blood pressure will go down, and your lungs will start to work better, she says. After a year, your chance of having heart disease drops to about half that of a smoker. After 5 to 15 years, your odds of having a stroke will match a nonsmoker’s. E-cigarettes are a healthy choice. The U.S. surgeon general found that the aerosol in e-cigarettes can have damaging chemicals, including nicotine, ultrafine particles you can inhale into your lungs, flavorings linked to lung disease, and heavy metals. “What we don’t know is what the long-term effects are when people use e-cigarettes,” Hatsukami says. Vaping may be less harmful than smoking normal cigarettes. “But safer is not the same as safe,” King says. Smoking isn’t so bad if it’s my only vice. MYTH. Even if you work out, eat your fruits and vegetables, and otherwise take care of yourself, it’s still not OK to smoke. There’s no research that shows that exercise or diet can undo the impact of smoking, Hatsukami says. 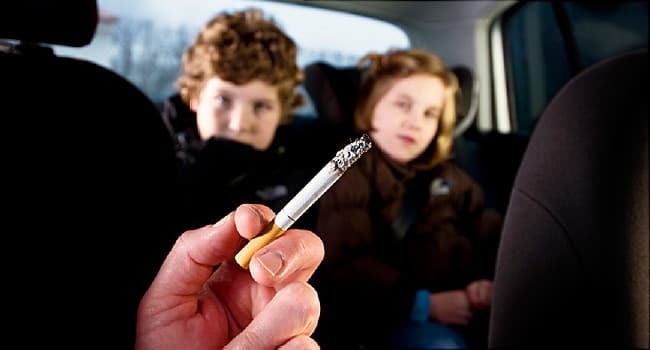 After all, smoking can cause cancer almost anywhere in your body, plus stroke, heart disease, and lung disease. “The best way to reduce the risks of smoking is to quit smoking altogether, not exercising more and eating better,” Hatsukami says. Nicotine patches and gum are as bad for me as smoking. MYTH. Some people think nicotine itself causes cancer, but there’s actually very little research to back that up, Hatsukami says. Though nicotine is very addictive, it’s the way it gets into your body that can be dangerous, she says. Those products work to help you quit smoking. “We do know that when you administer nicotine over time and gradually wean people off, as is done in the patch or gum, it can help smokers quit,” King says. U.S. Department of Health and Human Services: "The Health Consequences of Smoking -- 50 Years of Progress: A Report of the Surgeon General," U.S. Department of Health and Human Services, Centers for Disease Control and Prevention, National Center for Chronic Disease Prevention and Health Promotion, Office on Smoking and Health, 2014. Brian King, PhD, deputy director for research translation, CDC’s Office on Smoking and Health. Dorothy Hatsukami, PhD, director of tobacco research programs, University of Minnesota.